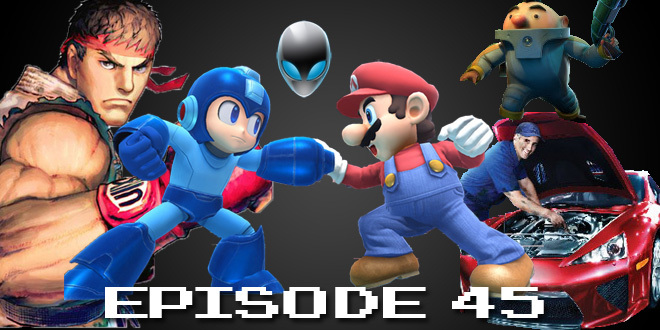 The Gamesmen, Episode 45 – Ultra Smash Simulator | The Gamesmen- What role will YOU play? Join Amras89, Hardlydan and DjLeeroy85 for game talk and fun! This time, The Gamesmen talk about a free game for day one purchasers of the Xbox One, the Alienware Alpha, Tales From Deep Space on Amazon tablets, free Evolve DLC, Elite Dangerous being in gamma, Calendar Man reveals Arkham Knight, Just Cause 3 multiplayer, and giving blood with Blood Sport. Games discussed are Ultra Street Fighter IV, The Forest, Shadow of Mordor, Car Mechanic Simulator 2014, Road Redemption, Elite Dangerous, Assassin’s Creed Unity, and Super Smash Bros.